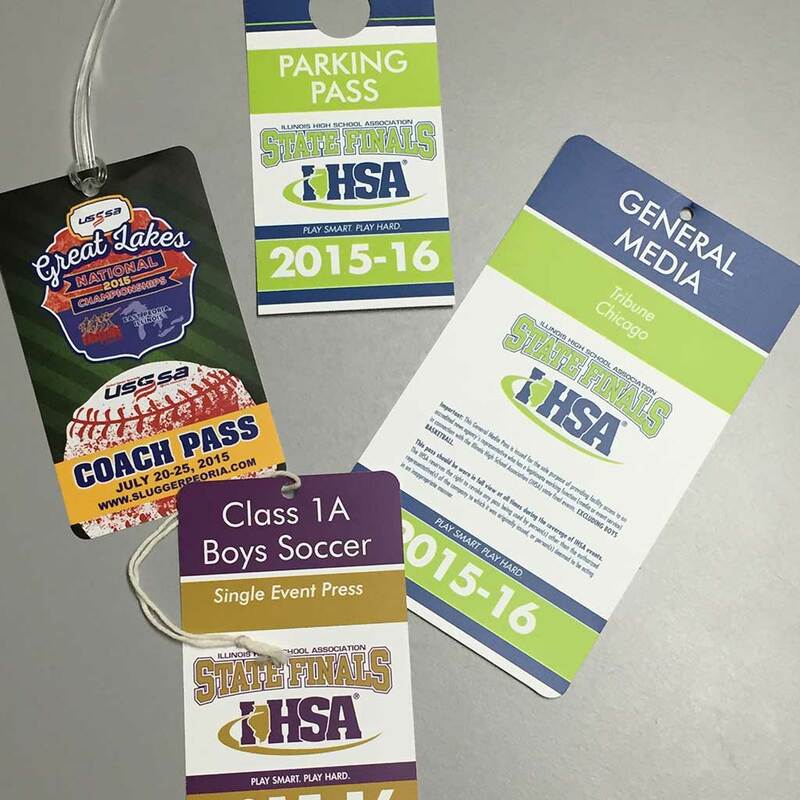 More than 35,000 tags produced for state-wide high school athletic association by PIP Printing on Masterpiece Graphix 14 mil synthetic paper. Masterpiece Graphix Customer Case Study: Paul and Scott Cochran opened a PIP Printing location in Peoria, Illinois, in 1978. Today, the business is ranked among the top three PIP locations in the nation for sales volume by the PIP franchise network. The company attributes its continued growth to the ability to innovate and embrace new technology. A prime example is their 2011 addition of an HP Indigo 5600 Digital Press. 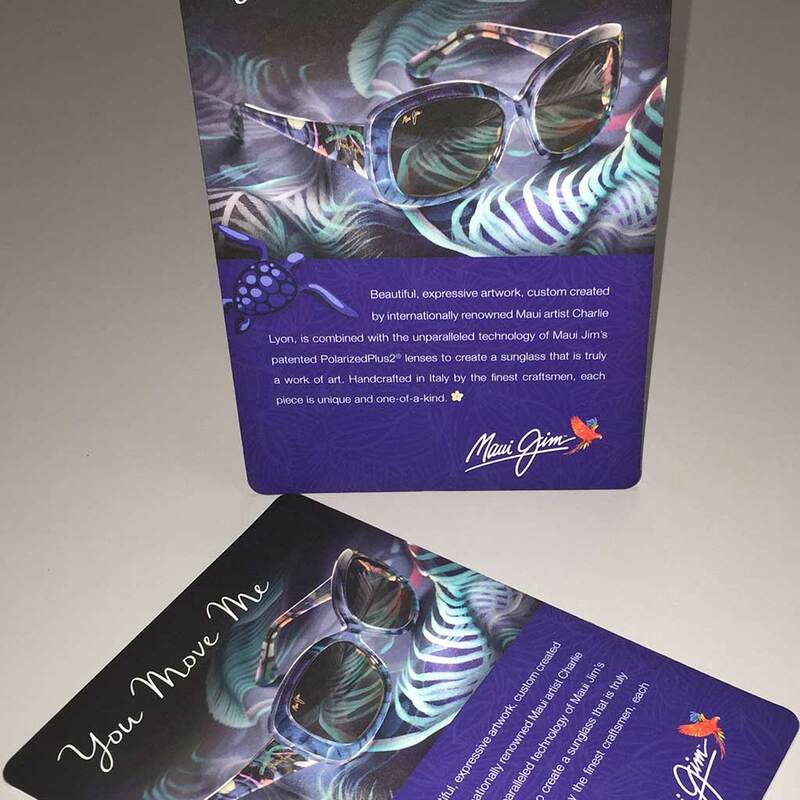 “The Indigo gives us superior quality and the ability to print on a wide range of substrates,” says Chris Cochran, who serves as Vice President. The company now has the flexibility to offer customers the option of printing on more than just paper. Clients can choose from synthetic paper, adhesives, styrene, and even multi-loft. Chris sites an example of a customer in the healthcare industry who was printing signs on card stock and then having the signs laminated. PIP Printing in Peoria was able to show the customer that they could print on synthetics, which eliminated the need for lamination and gave the customer a product that looked cleaner and had better longevity. Customers look to us to provide different materials and options to help them achieve a better product, turnaround, and cost. Masterpiece Graphix helps us do just that. Counter cards produced by PIP Printing for national eye wear company. According to Chris, the company had been trying to use a 15 mil synthetic substrate from a supplier and were experiencing feed issues, scuffing and jamming with that material. That’s when Masterpiece Graphix reached out to Chris with a different approach. “Jeremy Underhill from Masterpiece Graphix contacted me and offered to come to our shop to see the problem first-hand and to offer help and advice based on our needs,” explains Chris. “Jeremy’s input helped us discover other options to grow business with our current customers and add new ones. He offered solutions that we did not even know existed.” Chris says Masterpiece Graphix stocks also help his digital pressroom be more efficient because of their excellent runability. PIP provides printing and marketing services designed to help companies grow. Products and services include traditional printing, copying and mailing services as well as value-added offerings such as web to print solutions, integrated direct marketing tools, promotional products and more. PIP is owned by Franchise Services, Inc., a franchise management company.